The Homes for sale that appear on the Multiple Listing Service system. The Featured Listings are in a special format which allows you to see more detailed information, and more photographs, than are available on the standard Traverse City MLS search. My On Line Home Prospector service provided to you at no charge. Identify the type of property you are looking for, and you will receive e-mails when homes that meet your criteria are first placed on the market. Confirm the price range of the homes you should be reviewing by using my Mortgage Calculators. This unique 4-in-1 calculator provides a wealth of information. Property Tax is a factor that contributes to your monthly expenses. You can use the calculator on the Estimate Property Tax page to get an idea of taxes for different properties. Your biggest question may be the value of your home in today's market. When you complete the Home Evaluation Request, I would be glad to provide an estimate of your home's market value, at no cost, no obligation and of course NO pressure from us! Traverse City is located in the Grand Traverse County area of northwest Michigan's lower peninsula. Here, you can learn about this beautiful region on the following pages: About Traverse City, Michigan Inland Lakes, and Michigan Facts. Review educational opportunities on the Grand Traverse School Info and Private Schools pages. Live the dream all year! 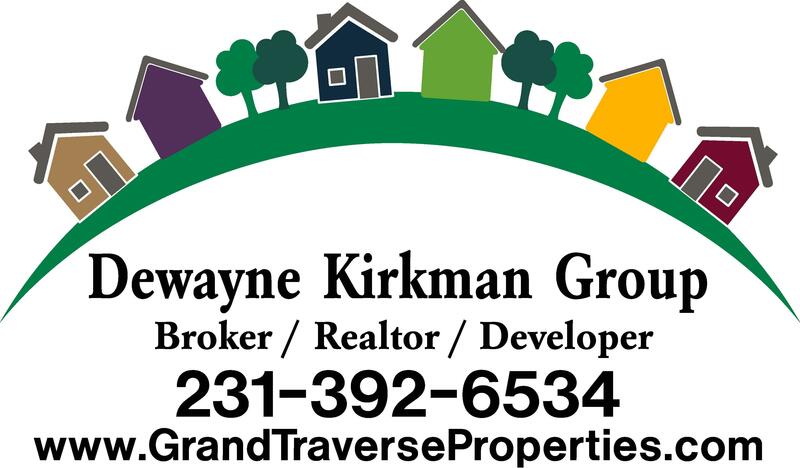 The Dewayne Kirkman Group is an experienced group of real estate professionals. We are happy to answer any questions you have, assist you in purchasing a new home or selling your existing home. Keep in mind that we never sell, give away or share the personal information you entrust to us. Please feel free to contact anyone in our group when you're ready to make a move.